Description: A little girl rescues a strange beast (a squirrel) in the woods and brings him home to take care of him. The “beast” is not happy and escapes, and tells his own version of events. The book is broken up into 2 short stories to illustrate these two perspectives. Why I like this story: The two perspectives are wonderful for discussion, and the story is really funny and entertaining. Kids of all ages will love this. Do Compare/Contrast of their perspectives, and even their lives. Tie in curriculum around habitats, and animal behavior. Discuss WHY the squirrel may not have liked what the girl was doing to him (i.e. bathing, walking on leash, dressing). At the end of both “tales” they come to realize maybe the other wasn’t so “strange”- great for discussion with social groups about friendship and staying flexible and open minded. Grammar: there are lots of wonderful examples of use of adjectives and adverbs to make sentences more complex and engaging: strange little beast, whining sadly, lovely bath, gorgeous new hat, beautiful house, etc. You could have students find synonyms for these words as well as compare to what adjective the “beast” would use (likely antonym). Write their own version of story using different characters, but following this frame. Use apps like Book Creator to generate a story. 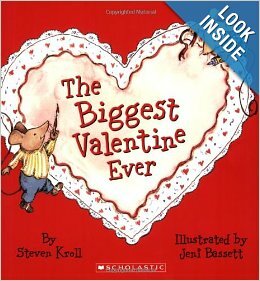 What I like about this book: It’s a cute thematic story for Valentine’s Day with a social focus. A great book for discussion of teamwork and working together. Have students talk about what is hard when working together, what makes it fun, etc. Discuss ways to help make working together go more successfully: making a plan, “asking” vs. “telling,” giving compliments, looking at friends’ faces to determine how they are feeling, etc. Role-play different scenarios in the story when the two mice are not getting along. Discuss what they could have done differently. What language could they use if they don’t like someone’s idea? (vs. what the mice do “you put too much glitter! Why did you make a heart in the middle?!). Discuss the effects of tone of voice. What if the mouse said it with a different tone of voice? Would that change the situation? Use thinking and speaking bubbles to help teach these concepts. Have students retell the story working on story grammar elements (characters, setting, initiating event, etc.). Pair with the Story Grammar Marker. 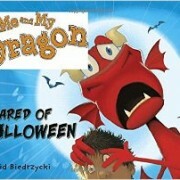 Description: A boy tried to help his pet dragon to not be afraid of Halloween. Why I like this book: The illustrations are incredible and keep kids engaged. An adorable story with a nice sequence of events for kids to retell and/or act out. There is also an Elvis reference, which I find awesome…I mean why not? A great story for labeling emotions and what characters could be thinking. Create a “thinking” bubble and hold over different characters heads to discuss. Point out and act out body language. Pair that with the character facial expression and discuss the context. There are great examples of “trickery” too- the dragon eventually dressed up as a dragon, but adults and kids think it’s a kid dressed as a dragon. A great opportunity for what do people “think” versus what is really happening. Encourage “detective eyes” to look for “clues” to help kids make inferences and predictions throughout the story. You can use the “remember” + “know” = “guess” framework for inferencing. For example in the first scene help students REMEMBER (see the clues) of the burned cake, small fire, burned clothing, soot on faces, holding fire extinguisher). What do they KNOW about dragons and fire? (they breathe fire, extinguishers are used to put out fires, etc. ), helps us GUESS that the dragon accidentally burned down the cake and presents with his fiery breath! Have students act out the story. Someone can be a dragon, the boy in the story and the various other characters (parents, other kids, etc.). Make a visual plan with the sequence to keep kids on task. There are many opportunities for social skill discussions. A concept we work on constantly is “friends don’t make other friends wait.” The dragon has a tough time selecting his candy while trick or treating. The children in line are visibly frustrated. A good opportunity for discussion. 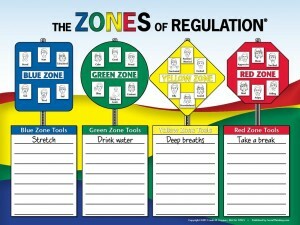 Pair with the Zones of Regulation for different emotions are how our body feels. Lots of opportunity for discussion around regulation. The Dragon obviously is “scared” and even “terrified” which can be at different “zones” in this program. Discuss the differences and what tools could help. 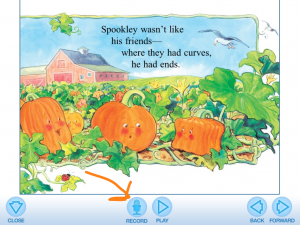 Pair with the Story Grammar Marker Program or App for identifying story grammar elements, and retelling the story. There is a clear “kickoff” and sequence of events. There are lots of examples of halloween vocabulary including werewolves, zombies, frankenstein, mummies, costumes, etc. There is lots of “subtle” humor throughout the story that can be pointed out if language skills allow for it. 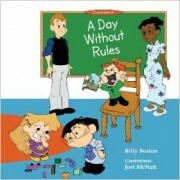 Description: A classroom of children get to see the effects of not having rules for the day. They learn to see the importance of respecting each other. Why I like this story: A good story for the preschool/kindergarten classroom, as the story provides situations that kids can really relate to, along with great illustrations to help with understanding of emotions. 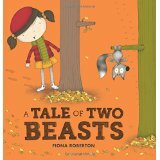 Our social groups have really enjoyed this story, and has led to great discussion. Have students generate what rules they would want to live without. Great for prediction skills…What might happen if we don’t have to keep our cubby clean? Not wash our hands before snack? Take toys/books home? etc. 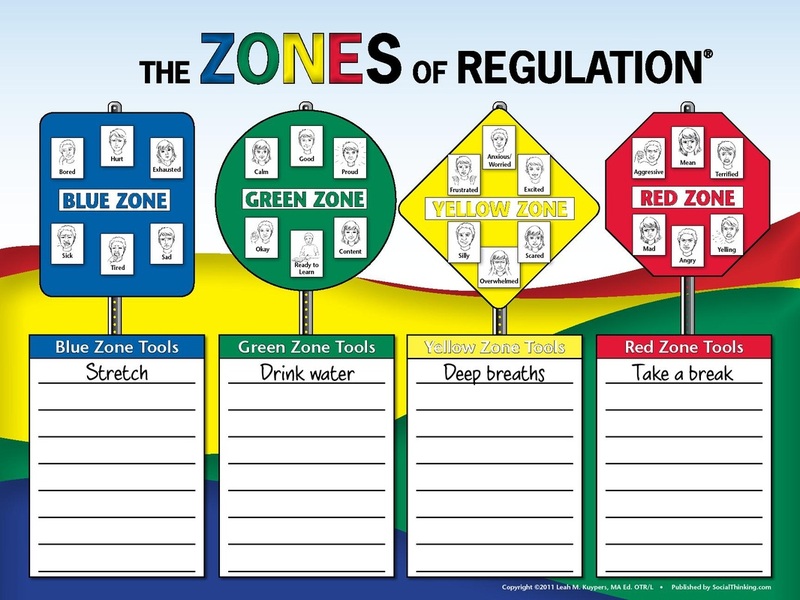 Students can even generate their own stories around not having these rules and the effects. Create the stories on story creation apps like Toontastic or Book Creator. Great for early narrative skills. Clear characters, settings and initiating events. Pair with Mindwing Concepts story grammar marker or Story Grammar Marker (SGM) App. Submitted by Meghan G. Graham M.S. CCC-SLP It is noted that all4mychild was provided with a copy of this story for review. However, options expressed are our own and no other compensation was provided. *Like this review and activities? Check out the Social Adventures App for more activities for children. Story telling is fundamental to human interaction. It is the way that we share experiences, relate to one another and empathize with others. Story telling is the way we keep family memories alive, study history and understand our place in the world. Story telling starts very young. Children as young as 2-3 years begin to share experiences by stringing sentences together (called Heaps by Hedberg and Westby (1993)) and very soon thereafter (age 5) begin to tell well organized cohesive stories with a central character and sequenced events. But, like so many other communication skills that come easily and naturally to many, narrative skills don’t come easily to all. Children may struggle with the linguistic components of a narrative, they may struggle with word retrieval and formulation or they may struggle with taking the perspective of the listener. For these kids, the joy of a story well told is often unattainable. But there is help available. MaryEllen Rooney Moreau, founder of Mindwing Concepts , developed the Story Grammar Marker© more than 20 years ago to support children’s narrative development. According to their website, “ MindWing’s methodology stems from research on oral language development, narrative structure and narrative development by Applebee (1978), Stein and Glenn (1979), Roth and Spekman (1986), Merritt and Liles (1987) and Westby (1991). Our research-based methodology and multi-sensory tools provide an explicit, systematic approach to instruction and intervention on narrative (story) development and expository (content area) text. Our methodology is designed to be implemented across the curriculum and throughout all grade levels targeting the development of oral language skills necessary for comprehension, writing, critical thinking and social-emotional growth.” And now… the Story Grammar Marker is available as an app for the iPad! Together with all4mychild, the Story Grammar Marker app was developed to provide teachers, therapists and parents another way to expose kids to this amazing tool. This versatile app can be used to teach the individual components of a narrative or can provide a story scaffold appropriate to the child’s developmental level. All4mychild has also developed the Talking Train app to provide support for our youngest story-tellers. This engaging app uses the framework of a train to provide support for a main idea or story topic (the train engine) and 3 or more details (the train cars)..
Once the child has recorded the story, it can be played for instant feedback or emailed along. The email includes the Talking Train image as well as the child’s recording. But the best part of all is that when the child hits the “GO!” button the train chugs down the track, disappears for a moment, and then comes right back and this is all accompanied by delightful train sound. So whatever the age of your little story-teller, these two apps will provide the just-right support. 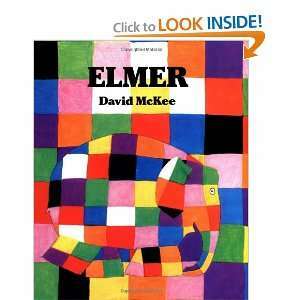 Description: Elmer the elephant isn’t like all the other elephants. He’s colorful and struggles with that difference. After trying to be like all the other elephants and failing, he realizes how much his friends appreciate his uniqueness. Why I like this book: A good example of appreciating people’s differences, and teaching children to be themselves. Have each child come up with something they can do (i.e. sometimes do friends ideas even if it isn’t exactly what they want, ask a friend what their favorite game is and play it together, let another friend go first, etc. ), or something that they are good at, that makes their friends think/feel positively towards them. Discuss how Elmer was good at making the other elephants laugh and enjoy themselves. This made his friends like him, and want to spend time with him. Could they use one of their “talents” or traits to enjoy their time with friends? Maybe they are great at legos- they could make a lego tower together with a friend? Maybe they are good at drawing- they could draw a picture for their friend of their friend’s favorite thing. Encourage discussion around what others are thinking about and feeling when they do these things. They could even draw pictures of this, and share. 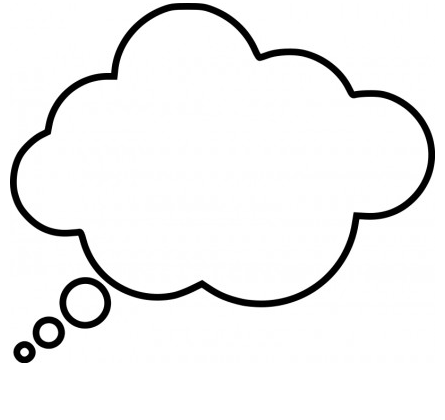 Use thinking and speaking bubbles to demonstrate how what friends would be thinking and saying. If in a group- have kids each come up with something positive about another group member. What is something that they like about that friend? What makes them special? Again, pair with thinking and speaking bubbles. A great story to identify story grammar elements (i.e. characters, setting, initiating event, etc.). I like to pair with MindwingConcepts story grammar marker /”Braidy” to help students identify and retell the story. Have children retell using “Braidy” or using the pictures from the story. Encourage temporal markers and cohesive ties during their retell. Elmer walks through the jungle and sees various jungle animals. Have children describe and generate other jungle animals. Great to pair with the Expanding Expression Tool (EET) for added description. Could also work on comparing and contrasting of various animals. At the end of the story, the elephants each color themselves in honor of Elmer one day a year. Provide students with an elephant, and have them decorate their own. How would they design themselves? If in a group- a great activity to see how everyone would color themselves differently. Discuss how we all are different, and have different ideas in our head. A great discussion for how much more interesting life is because of our differences. This is illustrated well in this story. Why I Like This Book: This book provides a fun and engaging way to discuss a nuanced topic. I really appreciate the catch phrase, “more sugar less pepper” that is introduced in this book. Also, the illustrations are fantastic! 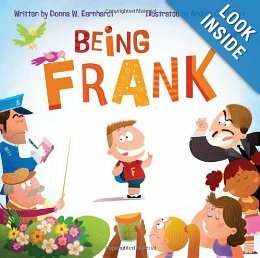 This is a great book to introduce the topic of being honest and kind to kids who may have difficulty with this concept. There are several scenarios presented which offer opportunities to discuss how the other person might feel and to brainstorm another approach. The introduction of the catch phrase, “more sugar less pepper” then provides a way for kids to apply this same approach to new situations. In a group setting, this book is wonderful for acting out. Kids can work on body language and facial expression to relate their emotions, both when their feelings are hurt and then later when they feel validated. This is also a great book for discussing Social Behavior Mapping (Garcia-Winner). Frank certainly feels much happier when his friends are happy with him because he treated them more kindly.. This book is also great to use to work on figurative language. The idea of “more sugar less pepper” can be explored both literally and figuratively. Then additional idioms can be explored by generating brief scenarios that would incorporate both the literal and figurative meanings. The scenarios in this book are also good for inferencing and predicting. The narrative structure and story retell can be made more fun by using the Story Grammar Marker App from MindwingConcepts. 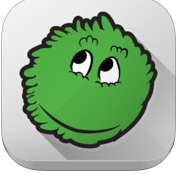 This app gives kids the chance to be a newscaster and to tell the exciting story of Being Frank. Kids can even record their “newscast” and share with others over email! 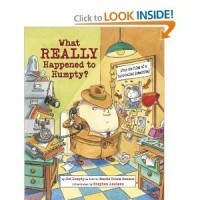 Description: Humpty’s brother, Joe a detective is convinced that Humpty didn’t just fall…he was pushed. He is given one day to use the clues, and figure out who did it. Why I like this book: A great story for elementary to upper elementary students to address higher level language skills. The book is funny….kids are entertained while addressing lots of language goals. There are endless opportunities for students to practice inferencing skills. I like to use Mindwingconcepts approach to inferencing with the “Remember”(clues from text/pics) + Know (background knowledge)= Guess (inference) to break down this process. An example from the story. Detective Dumpty runs into Little Red Riding Hood who is feeling upset. She states that Muffin Man is scrambling to fill a big order. She can’t even buy a muffin for her grandmother. “Why is she angry?” “Why can’t she buy a muffin?” “How do we know that she is angry,” etc. There are lots of perspectives in this story. Little Miss Muffet, a spider, even Goldilocks. To help students understand, pair with “Braidy” from Mindwingconcepts. Have students tell the story from each character’s point of view using story grammar elements. What was the initiating event/kickoff for Little Miss Muffet? Use thinking and speaking bubbles to help kids understand character motivations. Why would Miss Muffet lie? What was she thinking about (want)? There are lots of examples of figurative language: hard-boiled detective, shooting the breeze, hit the streets, bare/bear, etc. Have students use context clues to guess what these sayings could mean. The book is filled with opportunities for students to answer higher level “why” questions. At the end of the story, Detective Dumpty discussed other future cases. Have students write the next story based on one of his cases (i.e. Dish ran away with the spoon, Little Bo Peep Lost her Sheep, etc.). Description: An adorable story about a how one clever villager saves Hanukkah. Why I like this book: During the holiday season, I always enjoy introducing a book from the Jewish culture. 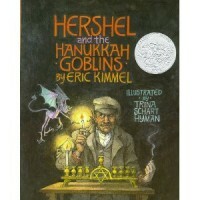 While it is a story about Hanukkah, the themes are universal. While this story does not focus upon the religious components of Hanukkah, it does introduce some of the associated traditions; such as, lighting menorah candles and playing with a dreidel. This provides a great opportunity for exposing children who don’t celebrate Hanukkah to this holiday to other holiday traditions. As a follow up activity, have the kids play the dreidel game with some chocolate coins. It is a fun group game that includes turn-taking and flexibility since it is more a game of chance than of skill. Make your own dreidels using this template or download this Hanukkah Dreidel app. The text in this book is on the longer side for a picture book, so just reading it can provide a great opportunity for sustained attention. Each night, Hershel outwits another goblin. While reading, ask kids if they can predict what the goblin will do. This provides an opportunity to take the perspective of the goblin. Why was Hershel able to trick them? This is another great book to use with the Story Grammar Marker from MindWing Concepts. Description: A rhyming story about pumpkin who is “different” than the rest. Although this is difficult, Spookley’s difference becomes very helpful to the other pumpkins in the patch, and they learn an important lesson. Why I like this book: Because it’s an app ($1.99 iPhone/ipad) it has lots of capabilities. It can be read by children (and allows for recording of their voice), or read to students (there is a narrator, or you can choose to read it to them). There are some interactive components as well, but not so many that it takes away from the story itself. Great for discussion about “teasing” and “being different.” Have students discuss how Spookley embraced his “difference” – and how it helped save the day.